There are no photos with those IDs or post 1495 does not have any attached images! Spring has sprung and wedding season is on it’s way. I can’t wait for all the spring weddings for 2017 and beyond. I love experimenting with different colours and textures. A colour palate is the best way to start your wedding plans. 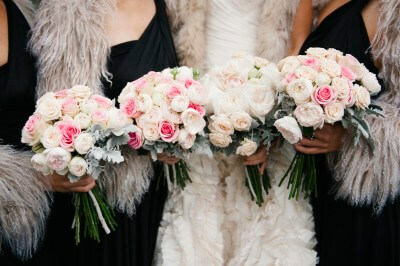 Once you have found your perfect dress and the style and colour of the bridal party then the next step is the flowers. it is always helpful to have a sample of the colour or have some ideas of flowers in mind before you visit your florist. So when you sit down to discuss options you are on the same page and the florist is set with ideas and inspiration to help you design the perfect flower for your wedding. If you would like to have a chat about flowers for any occasion email your me your colour ideas and I can put some ideas together for you, so you get the perfect flowers for your perfect occasion be that a wedding, party or anything. This entry was posted in Bayside Weddings and Events and tagged @vintageweddings, #apricot@creamflowers, #baysidebouquets, #beachweddings, #beaumaris, #blackrock, #bouquets, #bride, #bridesmaids, #buttonholes, #cascading, #chuppas, #corsages, #easyweddings, #flowergirls.